On Wednesday, July 3, 2013 the Travel Hags will head out to Assateague Island (Maryland side) and bike through the National Seashore. Beginning at the Visitors center at 9:00 a.m., the hags will park, unload their bikes and make their way across the Verrazano Bridge and on into the National Park. After a few hours of a scenery-to-die-for bike ride, hags will head to the Town of Berlin for an Italian lunch. There’s about 6 miles of bike trails in the park that weave in and out of forest, open road and border the sandy ocean beach. It’s an easy ride because its flat flat flat! Being that we’re hitting the park in the early hours, heat should be kept at bay and the beach crowd traffic avoided. 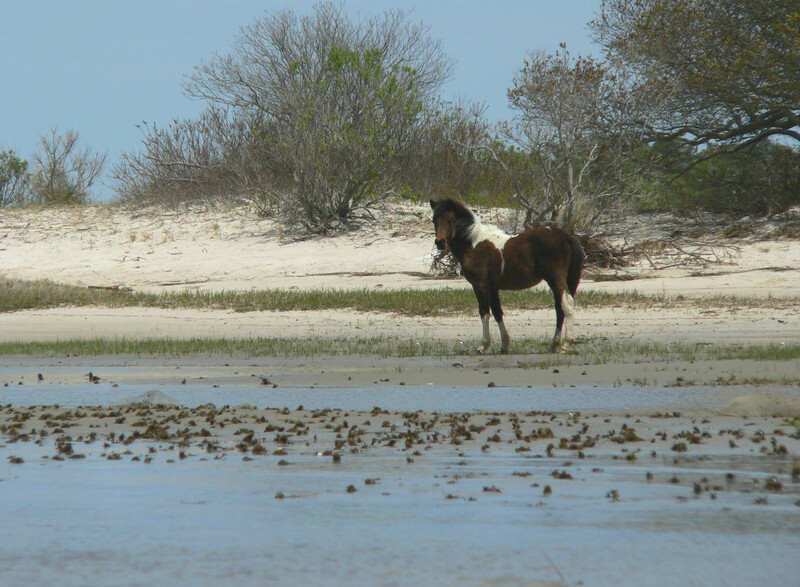 Wild ponies wandering about, the Atlantic shoreline uninterrupted with commercial stores and venues, nature trails through forests, view of the Chincoteague Bay. We plan to bike for about 2 – 2.5 hours, then pack up our bikes and head for the town of Berlin (15 minute drive). There we will lunch at Si’culi Rustic Italian Restaurant. TIME: 9:00 a.m. Meet at the Visitor Center on Route 611. AGENDA: Arrive at 9:00 a.m at the Visitor Center. Unload bikes, head out to the park. Bike for 2-2.5 hours, then back to cars. Then head to Si’culi Rustic Italian Restaurant for a group lunch. Each hag pays her own way. COST: The only cost will be your lunch. The National Seashore is free to persons on foot or bikes.